Christopher Wieczorek is Vice President and Manager of International Codes and Standards within the Research Division at FM Global. He joined FM Global after obtaining his Ph.D. from Virginia Polytechnic Institute and State University and his Master’s degree from the Center of Fire Protection Engineering at Worcester Polytechnic Institute. Chris is a member of the NFPA and SFPE, and has served as treasurer of the International Association of Fire Safety Science. Jorge Jimeno is the Head of Service for construction products, personal protective equipment and fire protection at the Ministry of Industry, Commerce and Tourism. He previously worked for ENRESA in quality assurance at the José Cabrera nuclear power station. A member of the Corps of State Industrial Engineers, Jorge has a degree in industrial engineering from the University of Zaragoza and an MBA from the EOI Business School in Madrid. Russ Fleming is the Managing Director of the International Fire Suppression Alliance. He has over 30 years of service on the NFPA 13 Sprinkler Committee, is a former member of the NFPA board of Directors, and past chairman of the NFPA Standards Council. Russ is a Fellow and past president of the Society of Fire Protection Engineers. He has written hundreds of articles and chapters in NFPA and SFPE Handbooks. Alan Brinson is the Executive Director of the European Fire Sprinkler Network. On graduating from Cambridge University he joined Shell as a research process engineer, moving to Proctor & Gamble before joining Tyco. In 2003 Alan left Tyco and set up the EFSN. He is a member of fire safety standards and regulatory committees for BSI, CEN and NFPA and is a chartered chemical engineer. Terry McDermott is the Chief Fire Officer of Derbyshire Fire & Rescue Service. He began his career in Greater Manchester where he served in a variety of roles before joining Cheshire Fire and Rescue Service. Terry is the current Chair of The National Fire Sprinkler Network which has every British Fire & Rescue Service as a member. He is also an active member of the National Fire Chiefs’ Council where he leads on Automatic Water Suppression Systems and work to support the On-Call sector. Ronald Oldengarm is a senior fire safety consultant at DGMR and has worked on many high-profile projects. He is a member of the Dutch committee of fire safety stakeholders and the expert panel on fire suppression systems. Ronald helped draft Dutch standards for large compartment fire safety and regulatory guidance on structural steel protection with sprinklers. Bodo Muller is CEO of the Job Group and Chairman of the International Fire Suppression Alliance. He started his career as a chemical engineer, rising to become a member of the supervisory board of Philips Semiconductors before moving to Job, where he became CEO in 2005. 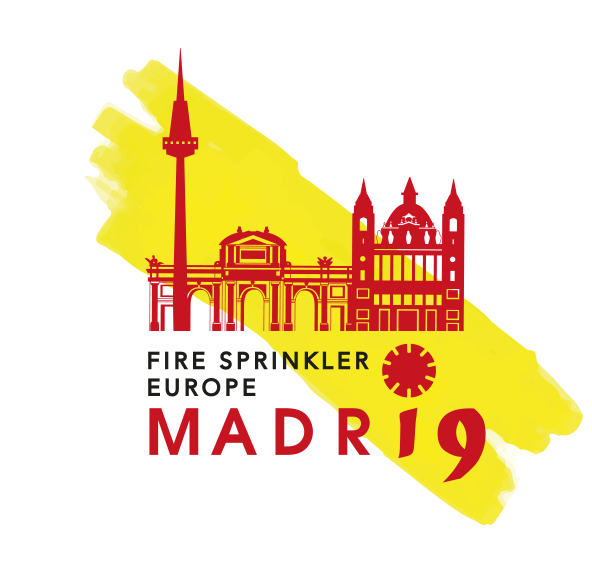 Bodo is an active member of sprinkler associations in many countries and promotes the development and application of high quality standards from recognised laboratories. José de Antonio spent 14 years designing and project managing the installation of fire protection systems for power plants, refineries and car factories, working for Servisegur, Tesis and Proteinsa. He joined Viking and for 20 years provided technical support for the business in Spain, Portugal and France, covering sprinkler, water spray and foam systems. He recently joined Engineered Fire Piping as its Technical Manager, providing support to clients, consultants, authorities and end users. Johan Hoogeweg has a degree in structural engineering and began his career as a fire safety officer in the Dutch fire brigade. Since 2006 he has been an independent fire safety consultant, developing strategies for complex buildings. He specialises in fire safety systems and has published papers on third-party certification and the use of sprinklers to reduce structural fire protection demands. Keith MacGillivray is the Chief Executive of BAFSA. He is a former Assistant Fire Chief and Chief Advisor on Fire Services to the Scottish Government. Keith has successfully campaigned for sprinklers in Scottish care homes, schools and housing. Following the Grenfell Tower tragedy he gave many TV and radio interviews. Keith is a member of the Scottish review of Building Standards. Jon Michelena is CEO of the Association of Investigation for the Safety of Lives and Goods (CEPREVEN), which he joined 31 years ago. He was a Professor for the Masters in Fire Protection Engineering, jointly organized by COIIM and Alfonso X University. Jon is a member of fire safety committees for “Insurance Europe”, Confederation of Fire Protection Associations (CFPA) and Tecnifuego and he writes regularly for leading fire prevention and insurance magazines. Robert Reinermann is the CEO of VdS and has held this position for nine years. He has a doctorate in Psychology, holds an MBA & Engineering degree (with a focus on management and mechanical engineering) and is a certified systems security professional (CISSP). Björn Schaumburg supports CEN standards-writing on behalf of EFSN, currently serving as the secretariat for CEN/TC 191 Working Group 5, which is responsible for sprinkler standards. Björn also works part-time for the Berlin Fire Brigade and as a consultant. He first became involved in standards and fire protection systems while working at DIN. Björn has an M.Sc. in Industrial Engineering from the Technical University of Berlin. Agustín Miguel Salguero is Head of the Fire Brigade at the Almaraz Nuclear Power Plant (Cáceres). He is a fire service instructor with a Pro Board Certificate to NFPA-1041 and a member of the Professional Association of Firefighter Technicians. Agustín is a Superior Technician in Occupational Risk Prevention and holds professional qualifications in “Fire Extinction and Rescue” and “Fire Prevention and Maintenance”. He is currently studying for the Degree in Safety Sciences from the Isabel I International University of Castille.